The latest in a string of Fallout 76 update is a new December 19 hotfix from Bethesda that addresses the invulnerable enemies and item duplication bugs. The rapid-fire patch jobs Bethesda is making to Fallout 76 continue, with the studio recently releasing a December 19 hotfix complete with a short list of patch notes. This time around, the studio was clearly focused on cleaning up a couple of major bugs involving both item duplication and completely invulnerable enemies. 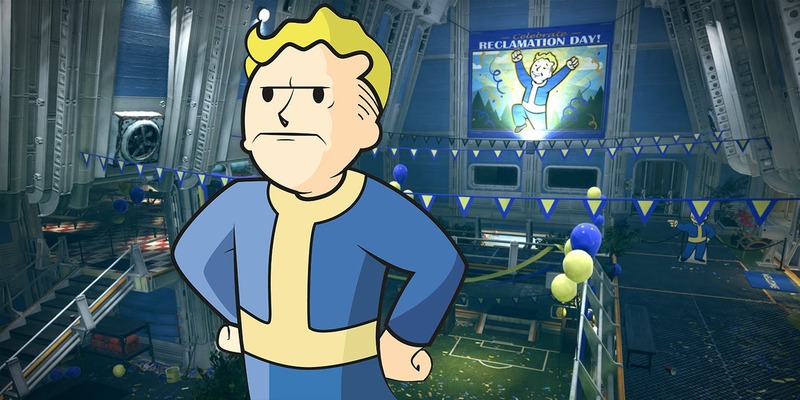 According to the official Fallout 76 blog featured over the Bethesda website, the latest Fallout 76 December 19 hotfix doesn't correspond to with a formal patch or update, nor does it carry its own update number. Instead, it's being offered up as a minor fix without any need to download an update on PlayStation 4 or Xbox One. PC players will have to download the update file for version 1.0.3.17, but Bethesda hasn't indicated just how big the Fallout 76 December 19 hotfix file size will be. The team has at least outlined what all it changes: in addition to Korean language support, the hotfix is primarily focused on removing an exploit that allowed items to be duplicated as well as a bug that prevented players from dealing damage to enemies. Here's the full list of bug fixes and changes as offered through the Bethesda website. Localization: Korean language support has been added to Fallout 76. The Fallout 76 December 19 update should serve to fix two of the biggest bugs and exploits featured in the game, but cleaning up the rest of the game's numerous problems is going to take time. Assuming players are able to jump in the game and enjoy a relatively unspoiled experience, be sure to stop by Shacknews' Fallout 76 walkthrough and guide to learn about enemies, collectibles, missions, and more.